Islamic. Seljuqs of Rum. The three brothers, Kay Kawus II, Kilij Arslan IV and Kay Kobad II, AD 1248 to 1257. 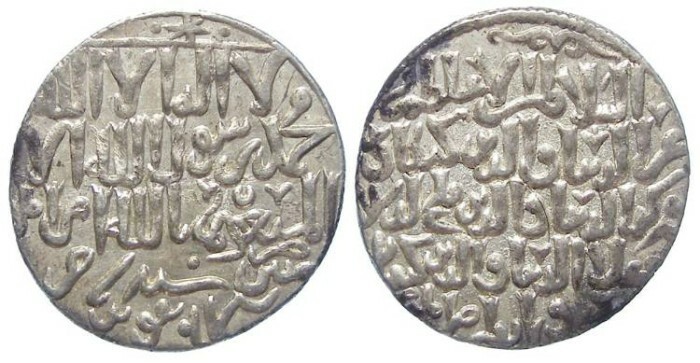 Silver Dirhem. Date : AH 656 (AD 1258). Mint : Konya. Size : 20.5 x 21.5 mm. Weight : 2.94 grams. Grade : XF with some lustre in the fields. A couple of minor silver chloride dark spots on the edges.